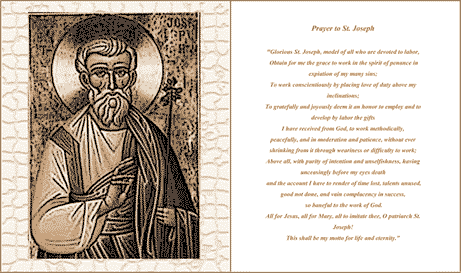 This free, printable church holy card is perfect for funeral and service inserts as well as general prayers to St. Joseph. A picture of the saint is on one side and a prayer to him is on the other. This shall be my motto for life and eternity."